“Sometimes you go out over the horizon and you don’t come back,” says photographer James Balog in the award-winning documentary “Chasing Ice,” as he reflects on his work documenting breathtaking footage of the world’s disappearing glaciers. The result: a stunning set of images that show enormous glaciers retreating at record pace and breaking off into the ocean in a process called “calving.” In one dramatic scene, the team filmed the historic breakup of the Ilulissat Glacier in western Greenland. 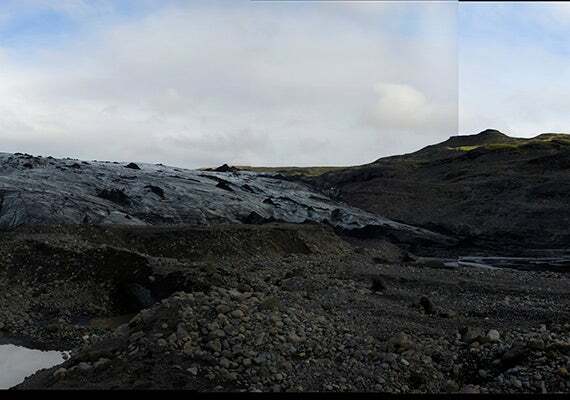 The calving lasted for 75 minutes and resulted in the glacier retreating a full mile across a face three miles wide. 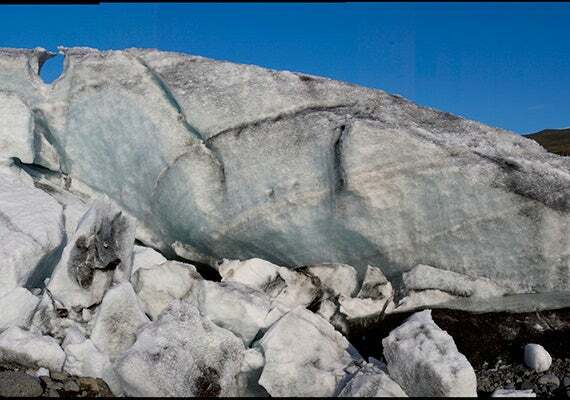 The Solheim Glacier in Iceland in April 2006, with a line showing its size. The Solheim Glacier in Iceland in February 2009. 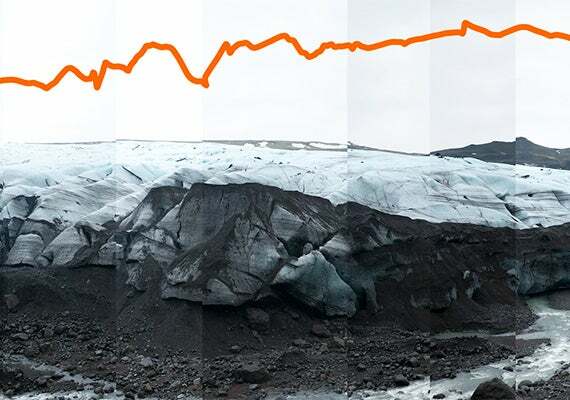 The line represents how much the glacier changed in nearly three years. The Solheim Glacier in Iceland in April 2006. The Solheim Glacier in Iceland in October 2006, just six months after the previous shot. The screening, which was made possible by the National Geographic Channel and sponsored by the Harvard Center for the Environment, Harvard Museums of Science and Culture, and the Office for Sustainability, was followed by a conversation with Harvard climate scientists James Anderson, Peter Huybers, and Daniel Schrag. “It made me think of how poorly we actually observe the Earth,” said Schrag, the Sturgis Hooper Professor of Geology and director of the Harvard Center for the Environment. “The problem with climate change is that we actually need good, long-term observations of many parts of the Earth’s systems to have a prayer to answer many of these questions.” He suggested advances in technology could help scientists usher in a whole new era of Earth observation. In research that aligns with Schrag’s vision, Huybers is collaborating with Harvard School of Public Health statisticians to apply techniques from how they track changes in tumors over time to tracking how glaciers change over time using satellite imagery through a partnership with Google Earth. 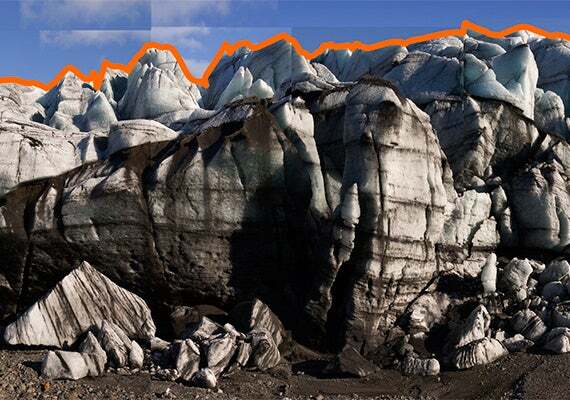 The hope is to eventually track all the glaciers globally using algorithms. In response to a question from the audience, Anderson, the Philip S. Weld Professor of Atmospheric Chemistry, called the Tibetan glacial structure in the Himalayas the third pole of the cryogenic system of the Earth. The region could become “the great unifier on climate with respect to China because the water supplies are so crucial” he said. Asia’s two longest rivers, the Yangtze and Yellow Rivers that flow through China, are fed by the glaciers in the Tibetan plateau. The conversation then turned to solutions. Schrag urged attendees to think about climate change as a regional issue since many of the impacts will affect regions differently. For example, the American West would not be as receptive to a message about sea level rise but would be more interested in the issues of snow melt, general water availability, and forest fires. In New England, sea level rise and the increase in extreme storm events are particularly relevant. “There is a very optimistic pathway from here into the future and that is the United States is endowed with renewable energy almost beyond belief,” said Anderson. Using wind power, 15 percent of the area of the American Midwest could generate a third of the total primary energy consumed in the United States. Ten percent of the area of Arizona alone could generate another third from concentrated solar thermal. Geothermal energy from the Mississippi west has huge potential, according to Anderson. “There’s no question we can work our way out of this without a change in standard of living,” he said.